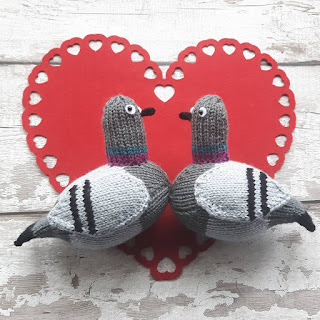 April 21st is World Curlew Day! Time to celebrate Europe’s largest wading bird, and to think of ways that we can help this beautiful bird with the haunting cry; sadly they are in serious decline. I designed this curlew knitting pattern for RSPB Shetland who are going to be celebrating their local curlews with events and knitted curlews in May. 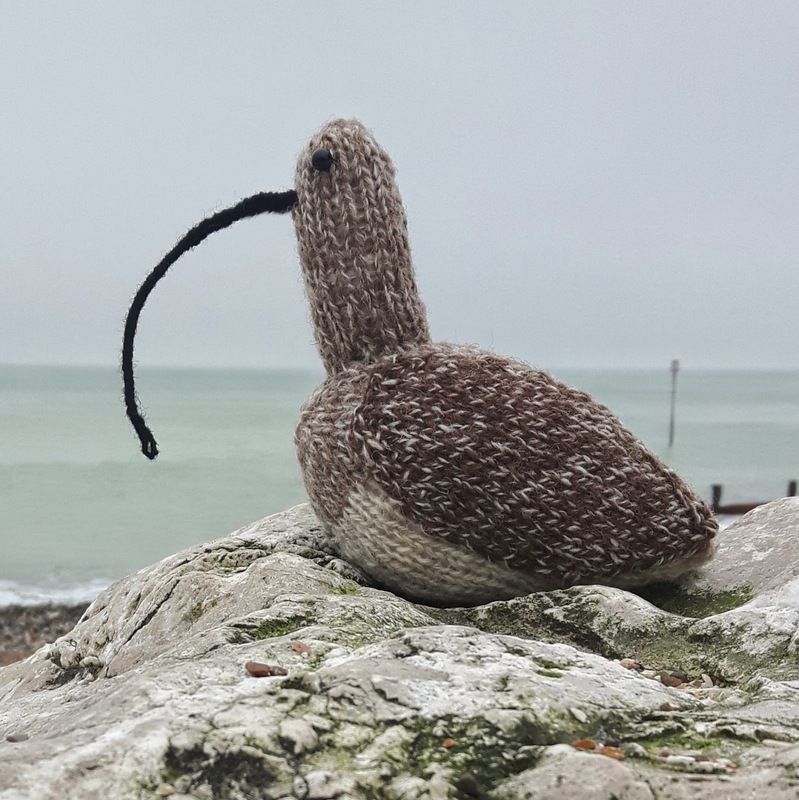 On Shetland they are known as “whaaps”, so please meet Wendy the Whaap, the knitted curlew! 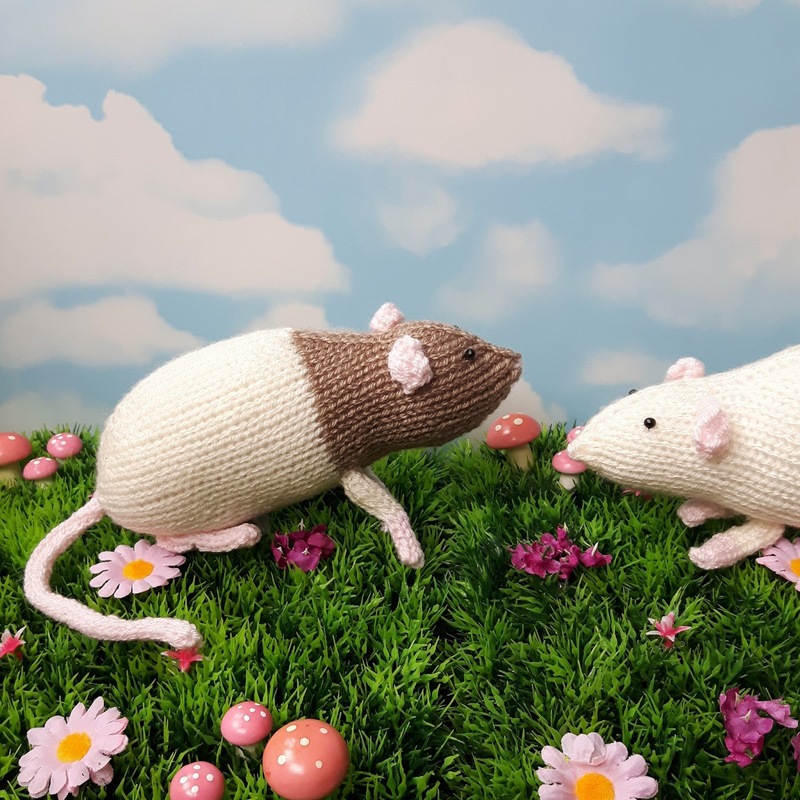 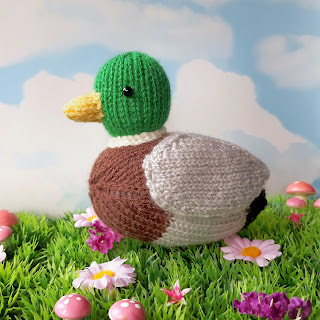 If you’d like to knit Wendy, her pattern is available on Etsy, Ravelry and Love Knitting. She’s made from beautiful Shetland DK wool from Jamiesons of Shetland. 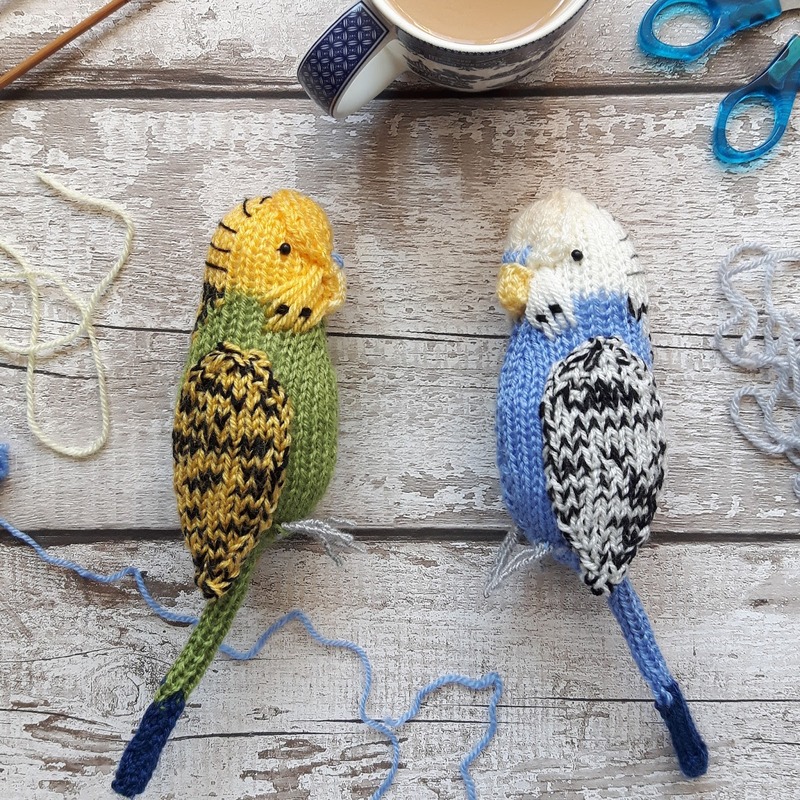 Did you know that a chaffinch has an incredibly loud song, and you may well hear him before you see him? 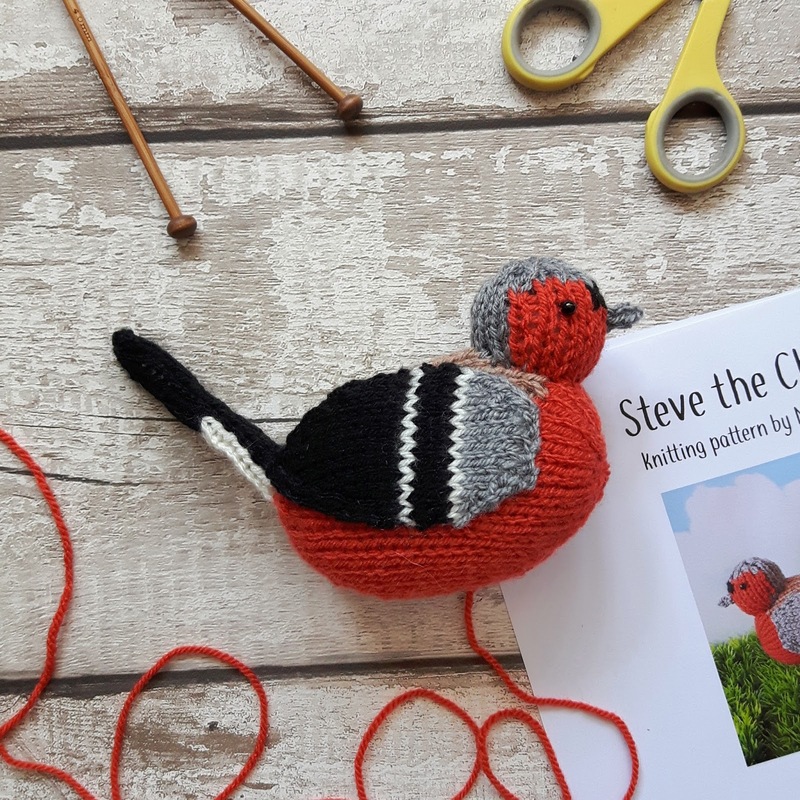 So if you’re out and about and you hear some high-volume tweeting, it may well be Steve the Chaffinch! 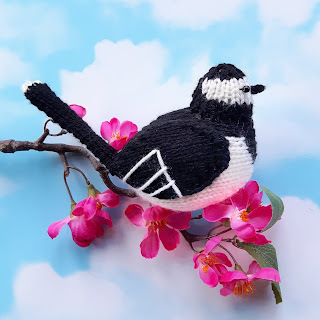 Here’s Pippa the Pied wagtail, looking forward hopefully to spring – feels like it’s just around the corner! Beneduck Cumberquack is getting ready for spring! 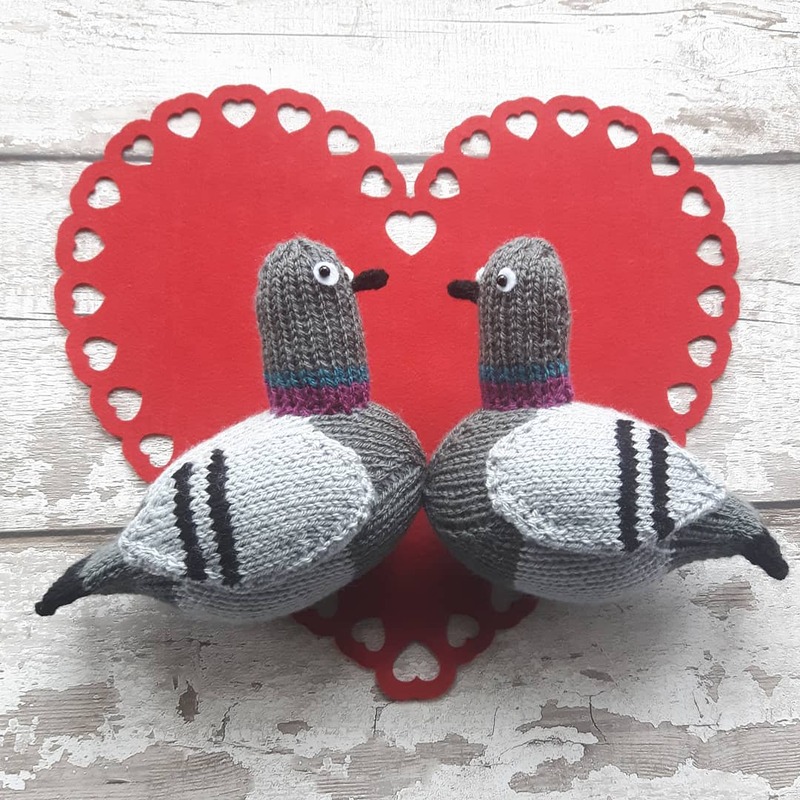 I knitted Bill the pigeon a girlfriend – her name is Coo!